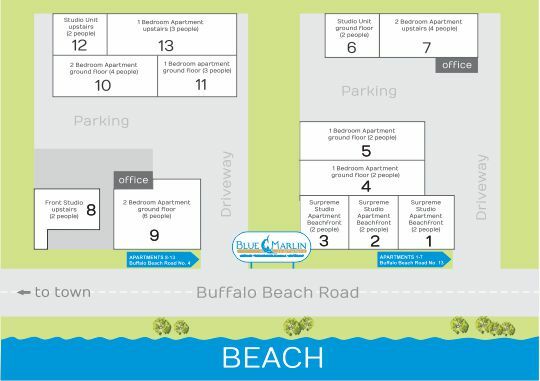 Blue Marlin Apartments offers 12 units in two apartment complexes, each within easy walking distance of the town, ferry and marina. 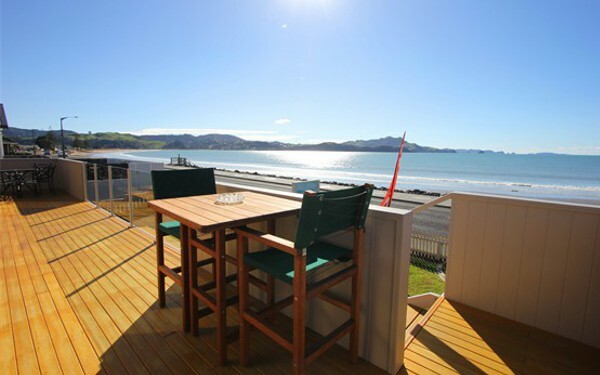 Beachfront apartment with stunning views of the bay. 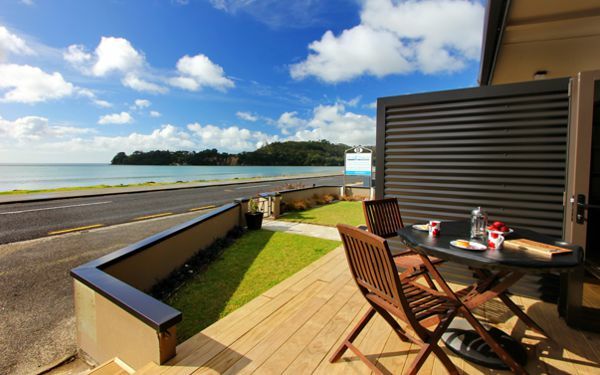 Watch the sunrise from the privacy and comfort of your apartment with 180 degree views of Mercury Bay. One bedroom apartment with ensuite bathroom. 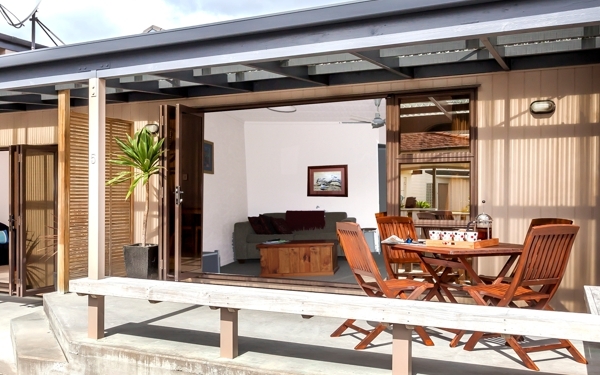 Large bi-fold doors open onto a sheltered patio that soaks up the afternoon sun. No sea views but very easy beach access directly across the road. 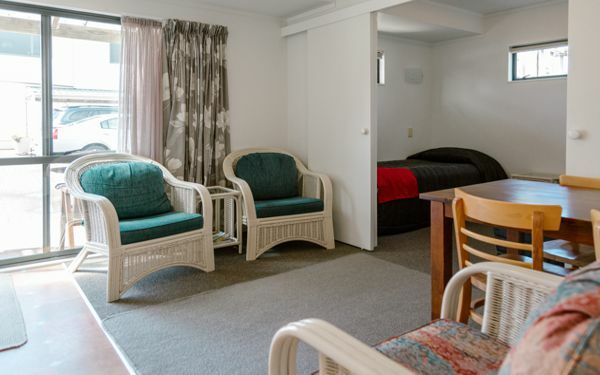 Compact studio unit on the ground floor at the rear of the property, offering a queen bed and small kitchenette. Easy beach access. 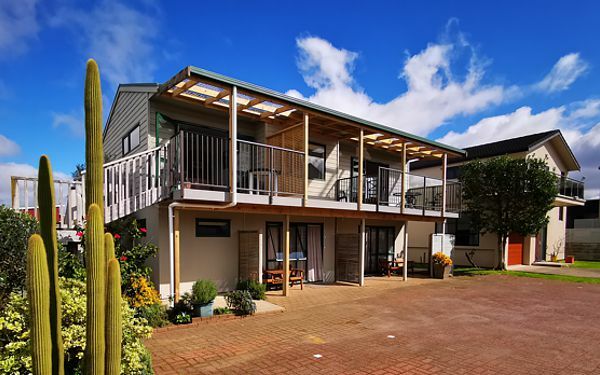 An upstairs 2 bedroom apartment at the rear of the property. It has a king bed in the main bedroom and 2 extra single beds. There is some sea views from the lounge of the apartment. Large Studio Unit situated in front building with lovely unobstructed sea views from balcony, offering a King sized bed and large patio. 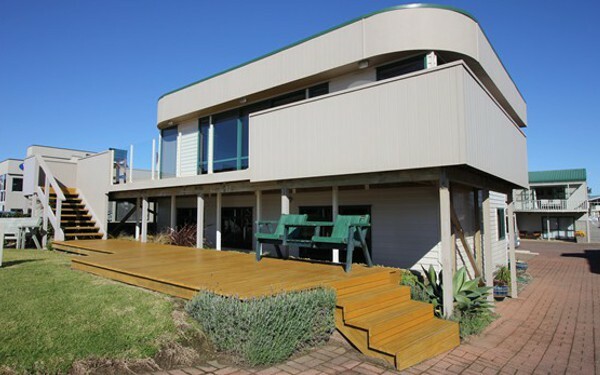 Large 60sqm ground floor apartment, 2 bedrooms, well appointed kitchen, unobstructed sea views from deck. 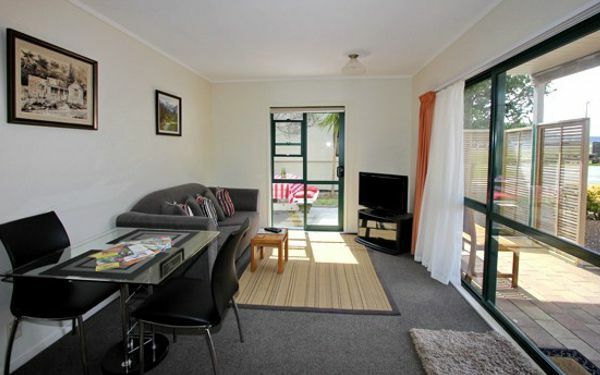 Compact ground floor unit at the rear of the property with super king bed and two singles in second bedroom. 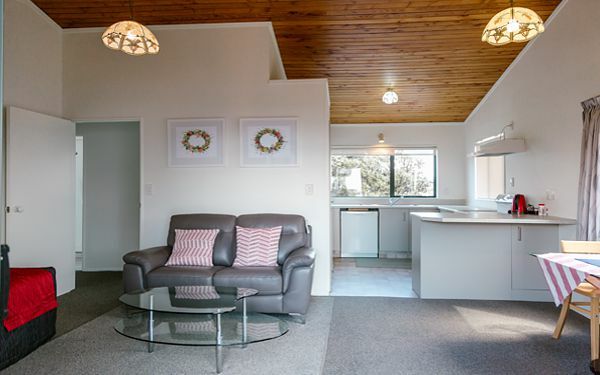 Ground floor unit at the rear of the property with queen bed and sofa fold-out suitable for a child, full kitchen. 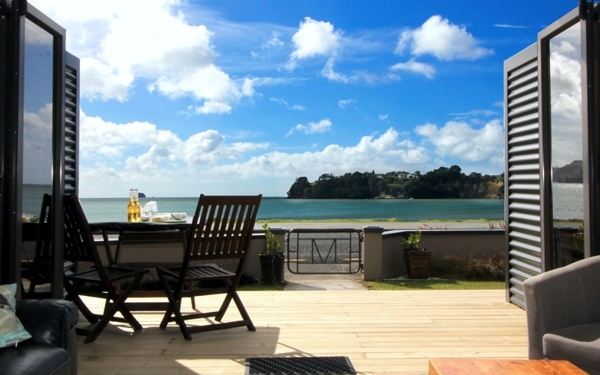 Upstairs self-contained studio (24sqm) with en suite and sea views from balcony. 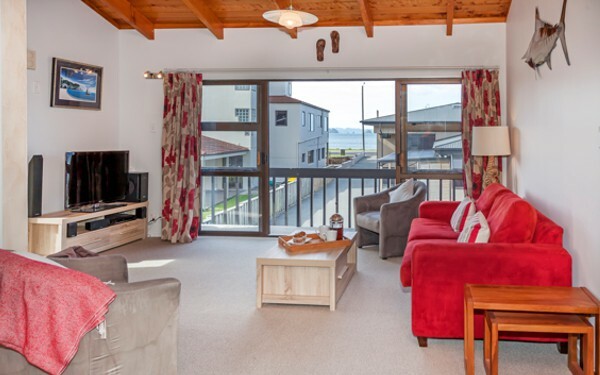 Large 48sqm 1 bedroom apartment upstairs, with Super King bed and a Single bed in a spacious lounge which opens onto balcony with sea views. Well equipped modern Kitchen. To get an idea about the layout and position of each unit, please take a look at our floorplan. 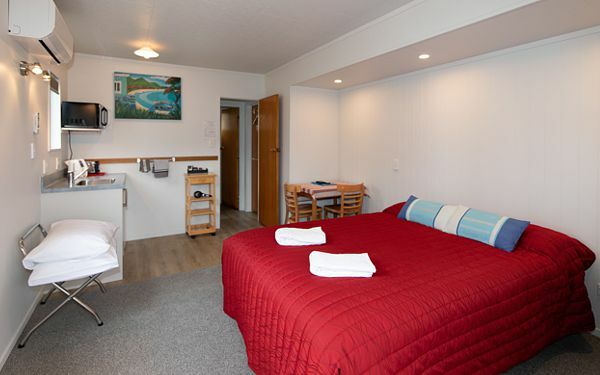 All our units are self-contained, with kitchen facilities for self-catering and all linen supplied. 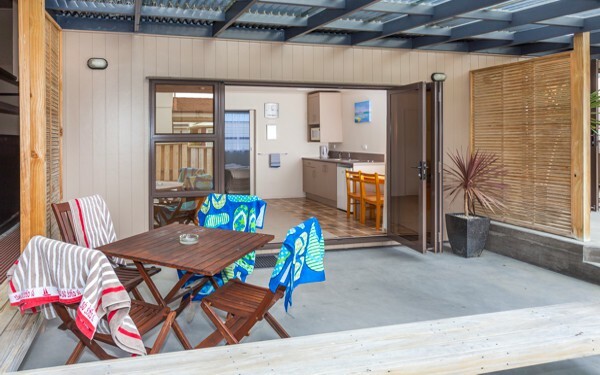 Each unit is fully furnished and includes a patio complete with outdoor furniture (apart from Unit 6). 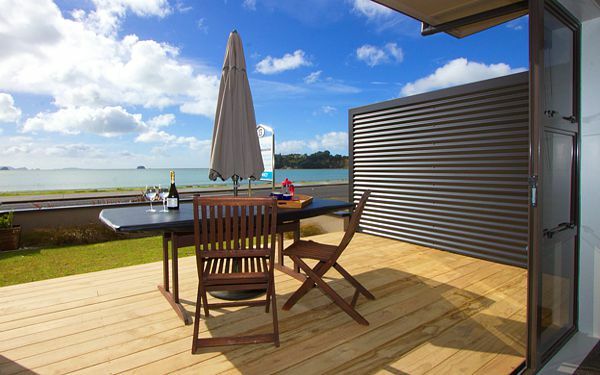 A portable BBQ, separate guest laundry and washing line are also available. Each apartment complex offers 6 units, the distance between both complexes is approximately 50m.